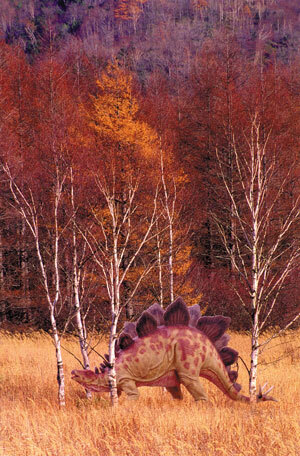 It is often said that dinosaurs ruled the earth. 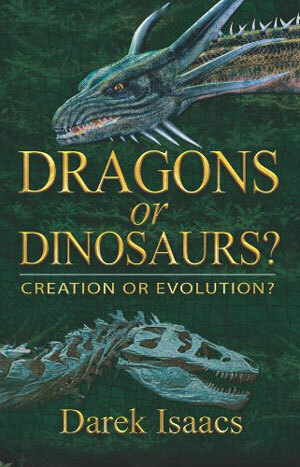 Movies such as Jurassic Park, the media, and educational books constantly promote the evolutionary claim that dinosaurs dominated planet earth for well over 100 million years. In the evolutionary paradigm, mankind had not yet evolved, and before the 65-million-year-old extinction mark, mammals were small rodents who steered clear of the ruling dinosaurs. The prevailing evolutionary model argues that the coexistence of dinosaurs, large mammals, and humans is not supported for four reasons. First, dinosaur and human fossils have never been discovered together in the fossil record. Second, large mammals have never been discovered in ‘dinosaur’ rock. Third, dinosaurs could not have existed with larger mammals due to intense competition in similar environments. Fourth, dinosaurs would have overrun human civilization due to their monolithic size and belligerence. However, these arguments do not stand up to closer scrutiny and the weight of the evidence provides far greater support to biblical creation. The historical narrative of Genesis plainly records that God created all land animals and human beings on the sixth day of creation about 6,000 years ago. 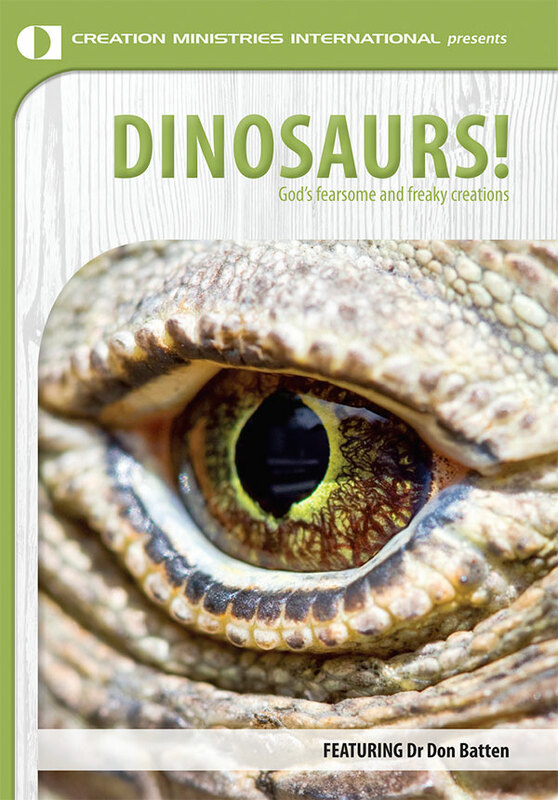 According to the Bible, dinosaurs, mammals, and humans have coexisted from the beginning of creation. This is in direct contradiction to the evolutionary model of earth history. And although the idea of dinosaurs and human beings living at the same time is ridiculed as illogical and unscientific, a more open-minded approach reveals a different story. Circumstantial evidence in the fossil record, literary and artistic accounts in human civilization, and observational examples in present-day ecological habitats lend a high degree of credibility to the biblical account. It is true that dinosaur and human fossils have never been discovered together in the same sedimentary strata. However, this absence of evidence is easily explained—see Dinosaurs, humans and the fossil record. Many creatures have coexisted without leaving fossil evidence of this coexistence. Man has also coexisted with numerous different animals without being fossilized with them. Up until recently, evolutionary scientists proclaimed that only tiny mammals lived with dinosaurs before the extinction event. Supposedly, these mammals were chipmunk-sized, shy, and largely nocturnal in order to avoid being consumed by the predatory reptiles. However, two mammal fossils completely overturned this deeply entrenched perspective. In 2005, paleontologists discovered the remains of Repenomamus robustus, the size of a large cat, and Repenomamus giganticus, the size of a modern dog, both dated at about 130 million years old on the evolutionary timeline.1 Repenomamus robustus had the skeletal remains of a juvenile dinosaur preserved in its stomach area. This stunning discovery revealed that mammals were much larger and more advanced about ‘65 million years’ earlier than commonly believed. Apparently, dinosaurs did in fact share the landscape with ‘advanced’, predatory mammals. On the tomb of Bishop Richard Bell (1410–1496) at Carlisle Cathedral (UK), brass engravings depict creatures that any 21st century child would innocently identify as well-known sauropod dinosaurs—those with long necks and tails. They appear to be engaged in a fight with their necks (as is also typical of giraffe behaviour) or perhaps courting displays, also familiar within the animal kingdom. See Bishop Bell's brass behemoths! These were found well before dinosaur fossils had even been formally discovered, and they are often drawn next to other historically verified animals. Various Indian groups in North and South America possess oral traditions of massive, flying reptiles that are eerily similar to modern depictions of pteranodons, pterodactyls, and other pterosaurs—see Thunderbirds. 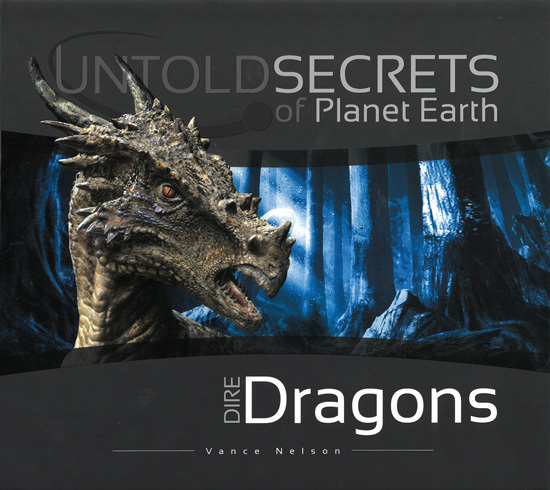 Cultures around the world are littered with dragon ‘legends’. 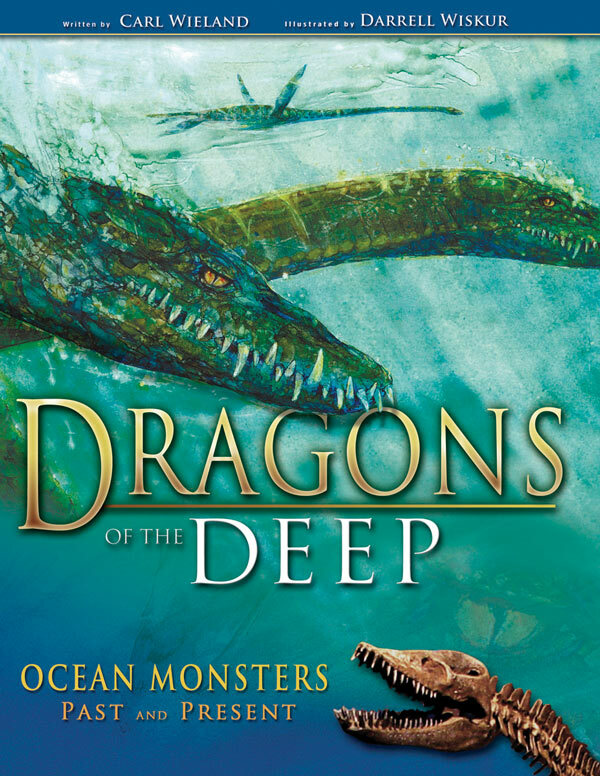 Though many of these legends contain mythical hyperbole, there is often a common core to the global accounts indicative of mankind witnessing or interacting with large, reptilian beasts in history—Dinosaurs and dragons: stamping on the legends. Ironically, the Hebrew word—tannin or tannim—is translated 21 times as ‘dragon(s)’ in the Old Testament to describe different kinds of creatures living in ancient times—see Dinosaurs—were they masters of the world? The prophet Isaiah appears to describe flying reptiles (Isaiah 30:6), and Job (chapters 40 and 41) describes a gargantuan land animal and sea creature. Perhaps most telling is the attempt by the late Carl Sagan, one of evolution’s most influential apologists in modern times, to provide a rebuttal to these worldwide ‘dragon’ legends. 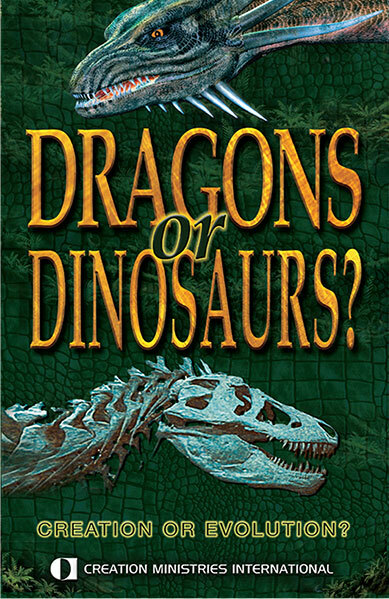 In his book The Dragons of Eden, he proposed that mankind had not actually witnessed dinosaurs of any kind. Instead, because our brains evolved from a reptilian ancestor, we still carried latent memories of living in the ‘age of reptiles’—see Dinosaurs—were they masters of the world? There is absolutely no evidence that memories are encoded in our DNA and subsequently passed on to our offspring. The far more logical explanation is that man has actually seen and coexisted with dinosaurs. Many argue that dinosaurs ruled the earth because they were massive and ferocious beasts that dominated all other forms of life. However, the average size of a dinosaur was that of a sheep. Many argue that dinosaurs ruled the earth because they were massive and ferocious beasts that dominated all other forms of life. However, the average size of a dinosaur was that of a sheep—see How did dinosaurs grow so big? Based on fossil evidence, only a small percentage were gargantuan beasts such as T. rex and Apatosaurus. To put things into perspective, the largest creature to ever exist on the earth is the blue whale, and it exists today. Also, the estimated weight of T. rex is 6–8 tons. The average African elephant weighs 6–8 tons. In addition, the most exhaustive biomechanical analysis estimates T. rex likely ran at around 17 km/hr (11 mph). Elephants have been timed as fast as 24 km/hr (15 mph)—see Titanic terror bird. Velociraptors are estimated to have been almost 1 metre (3 ft) tall and may have run up to 65 km/hr (40 mph).3 Ostriches can be up to 2.7 metres (9 ft) tall, can run at almost 80 km/hr (50 mph), and deliver a kick capable of killing a lion.4 Although distinct reptiles, dinosaurs were likely no more spectacular than many of the animals we observe in the wild today. Massive animals don’t rule the earth today. For example, elephants don’t rule the African plains. Giraffes, though as tall as any T-Rex and likely much faster, don’t rule the African plains. In the oceans, the blue whale is not ‘king of the sea’. In addition, massive great white sharks and killer whales do not dominate the waters. All of these monolithic creatures coexist with countless other organisms of various sizes and predatory abilities. We also witness a number of powerful predators coexisting on the African plains. Lions, cheetahs, leopards, hyenas, and wild dogs all feed on similar prey. Likewise, in the oceans, we see sharks, killer whales, and dolphins often coexisting in the same waters, hunting similar prey. Therefore, based on observational evidence, we can logically conclude that ancient dinosaurs would not likely have ‘ruled’ the earth (in the sense of the popular misunderstanding). They would have coexisted with many other kinds of animals (and people) and competed for some of the same resources in various regions throughout the earth. Mankind was created to have dominion over all the creatures in the sea, in the air, and on the land (Genesis 1:28). Just look at zoos and aquariums around the world, and you can clearly observe how this biblical mandate is fulfilled. After the Flood, God allowed man to eat meat—today the ongoing existence of some species is at risk through overhunting. Similarly, many paleontologists believe that humans also hunted the megafauna to extinction, such as giant kangaroos, mammoths, saber tooth cats, and countless ancient animals. Dinosaurs, too, may have been targets for human hunters. The biblical account of dinosaur and human coexistence is strongly supported by historical, textual, observational, and logical evidence. Although the ruling evolutionary paradigm continues to perpetuate the myth of dinosaur supremacy during the so-called ‘age of dinosaurs’, it simply does not fit the available data—in stark contrast to the biblical account of history. Dinosaur fossil found in mammal’s stomach. http://www.livescience.com/3794-dinosaur-fossil-mammal-stomach.html. 12 January 2005. Return to Text. Harrub, B. and Thompson, B. Walking amidst the dinosaurs, Reasons & Revelation February 2003 - 23:9–15. Return to Text. All about dinosaurs: Velociraptor—meaning ‘speedy thief’, http://www.enchantedlearning.com/subjects/dinosaurs/dinos/Velociraptor.shtml Return to Text. Ostrich—Struthio camelus, http://www.enchantedlearning.com/subjects/birds/printouts/Ostrichcoloring.shtml Return to Text.